There is a rare produce coupon available! 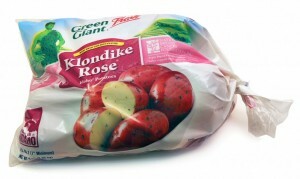 Print this coupon to get FREE Green Giant Asparagus, 8 oz, when you buy Klondike Rose Potatoes, 5 lb. You will need to sign-in or create an account to get the coupon. The coupon says “good at Target stores,” but you can use it at any store. It has a max value of $3. It is rare to see a great coupon for produce, so be sure to print it now if you want it. The coupon expires 10/31.